You may have heard Google is cracking down on companies that make Google Voice-powered phones. As we have a Google Voice Extensions feature that allows you to integrate your personal Google Voice account with your Ooma Telo, we wanted to clear some things up. A number of companies sell adapters to connect a standard telephone to a computer or network so you can make calls over the Internet. A handful of these companies have configured their adapters so phones become exclusively powered by Google Voice to make free calls. This violates Google’s terms of service, which forbids outside companies from using Google Voice to run their phone service. Since the Ooma Google Voice Extensions feature is merely a perk for our customers who want to keep their Google Voice phone number – and not what powers our phone service – it’s compliant with Google’s terms of service and won’t be affected in any way by the Google crackdown. 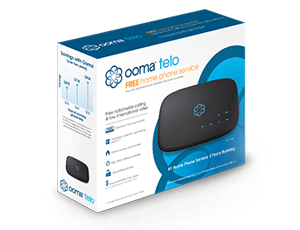 For those of you unfamiliar with this feature, it allows anyone with a Google Voice account to combine it with their Ooma Telo. 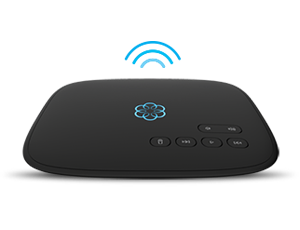 Then you will receive your Google Voice calls on your Ooma Telo and continue to have access to your favorite Google Voice features. Configuring your Google Voice account with your Telo is simple – directions can be found here. According to this blog post from a Google employee, as of May 15, 2014, companies violating Google’s terms of service will need to find an alternative to Google Voice and their customers will no longer have access to Google Voice.